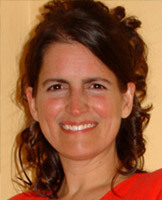 Kendra Douglas, of the department of Modern and Classical Languages Linguistics Program, received her Ph.D. in Spanish Linguistics from the University of Wisconsin-Madison in 2004. She teaches a wide variety of courses in Spanish, Portuguese and general linguistics, focusing primarily on phonetics and phonology. Her current research interests include: language and gesture shift in bilingual communities, internet as corpus, language contact and change, discourse analysis of graffiti, and technology in second-language acquisition. 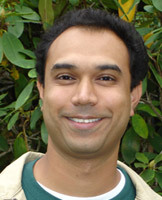 Vinit K. Jagdish, of the department of economics and Western's MBA program, received his Ph.D. from Michigan State University in 2005. Prior to joining Western in the Fall of 2005, he taught economics at Kent State University for two years. While at Kent State, he received the Business Presidents' Roundtable award for excellence in teaching. His teaching and research interests include applied microeconomics, managerial economics, industrial organization and microeconomic theory. 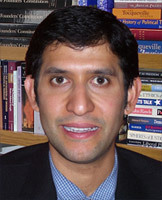 His current research examines the interplay of reputation and managerial decision-making as well as strategic information transmission in markets. 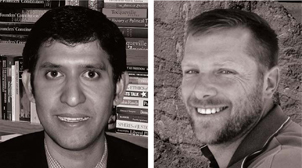 Johann Neem is an associate professor in the History department. He teaches courses on the American Revolution, the early American republic, and American intellectual history. He is author of Creating a Nation of Joiners: Democracy and Civil Society in Early National Massachusetts (Harvard University Press, 2008). Julia Sapin, of the department of art, received her Ph. D. in Japanese art history from the University of Washington in 2003. Her research focuses on intersections of art and design in Japan during the Meiji period, 1868-1912. She teaches courses on Asian and Pacific art history and visual culture, and seminars of art historical and exhibition theory and methodology in the Art Department. 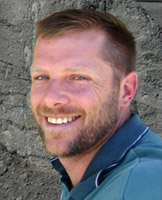 Pete Stelling, department of Geology, earned his Ph.D. from the University of Alaska Fairbanks in 2003. Prior to arriving at Western, he taught for two years in the Geology Department at the University of Alaska Anchorage. His research interests include various aspects of volcanology, including caldera formation, lava flow development, and igneous geochemistry and modeling. In addition, Pete is expanding his research horizons into geothermal resource exploration. 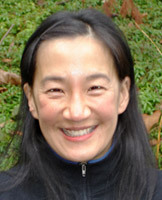 Grace Wang, from the department of environmental studies, has taught at Western since 2002. She is an Associate Professor of Natural Resource Policy at Huxley College, teaching courses in environmental policy, natural resources and sustainability. Grace's research addresses non-timber forest products (NTFPs) and community-based forestry. Recent research has looked at how different groups of people have gathered resources throughout history, addressing socio-cultural implications of why people gather NTFPs. 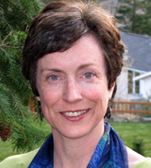 She has a degree in Resource Economics from UC Berkeley, and a Master's and Ph.D. in Forestry from the University of Minnesota.